Take 1 capsule two to three times daily. If pregnant, nursing or taking any medications, consult a healthcare professional before use. 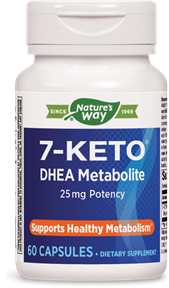 7-Keto® brand 7-oxo-dehydroepiandrosterone-3β-acetate (U.S. Patent 7,199,116).